Scott Coker has his smile back. In MMA there is one true fact that reigns above all other MMA facts; a Grand Prix solves everything. Literally any problem in the sport of mixed martial arts can simply be solved by throwing a Grand Prix tournament bracket at it. A Grand Prix is the easiest, yet most volatile, MMA promotional ingredient. No story line gets the blood boiling like looking at a eight to sixteen person tournament bracket. In a new interview on The MMA Hour, Bellator President Scott Coker was asked about the company’s heavyweight division and a twinkle sparkled from his eyes. Sure it was a phone interview with only a still picture of Coker available to view but you could tell Coker, like a red-blooded MMA fan, has a fetish for Grand Prixes. Could Bellator pull-off a heavyweight tournament in 2018? 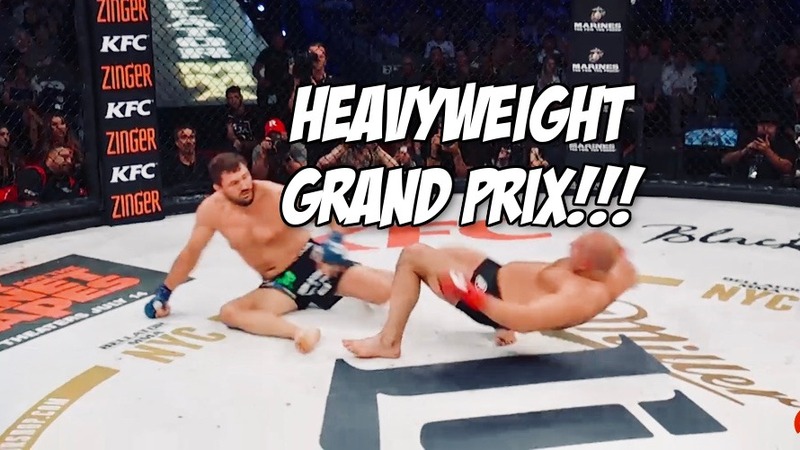 Would Fedor, King Mo, Mitrione, Big Country, Lashley, Kongo represent Bellator in this hypothetical Grand Prix? Could KSW lend out Mariusz Pudzianowski for the tournament? Can Rizin convince Cro Cop to come out of retirement and enter the Grand Prix?!?! Coker, you have your assignment from the Fight Gods and you know what you must do.